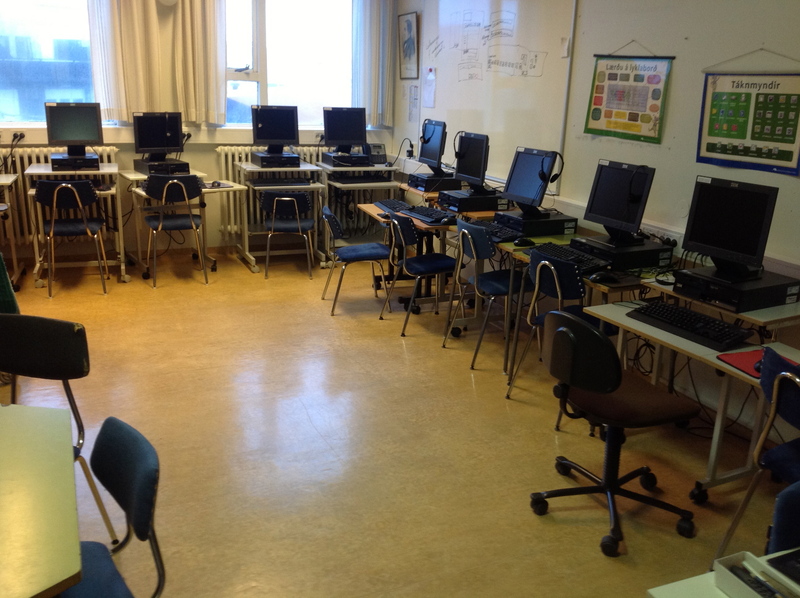 Ingvi Hrannar | Icelandic educator, iPad 1:1 classroom, speaker & entrepreneur. A class blog… quick, easy and effective. Do you want your students to write more, read more and do more quality work? Here’s how. 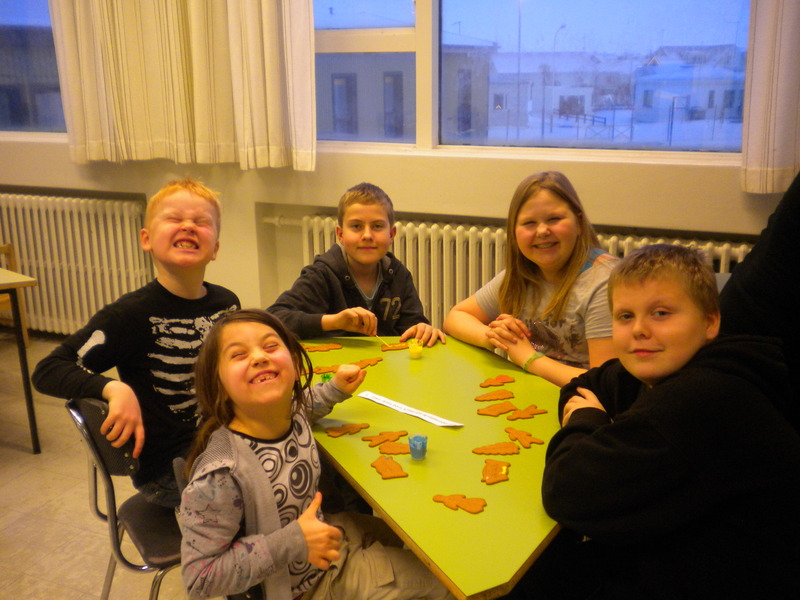 What does my 2nd grade in Iceland do differently? Why do some teachers never have time for PD while others always make time? How administrators can make sure new teachers make it through the first year. Out of our minds: Learning to be creative -Sir Ken Robinson. 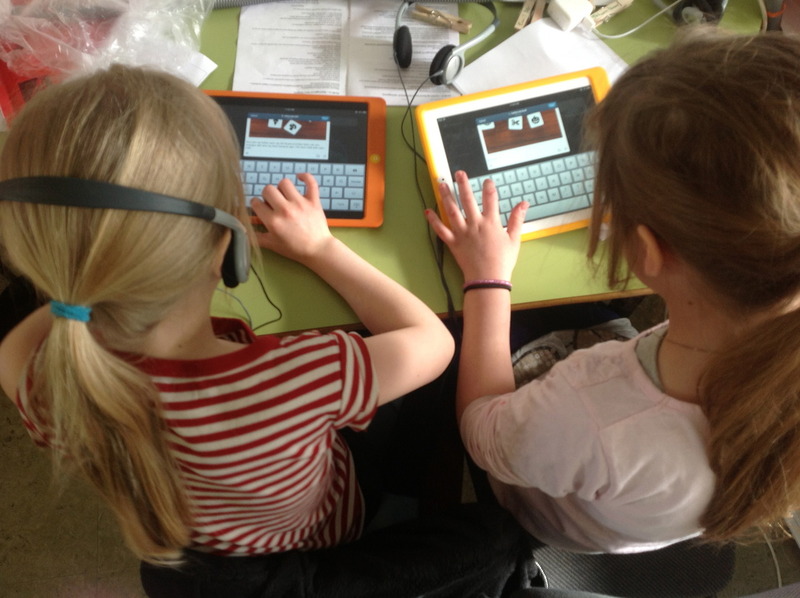 No, iPads do not make teachers obsolete! Silence is the best way… NOT! How can a parent help to foster healthy self-esteem in a child? ATTENTION: This site in no longer active as of January 1st 2014. 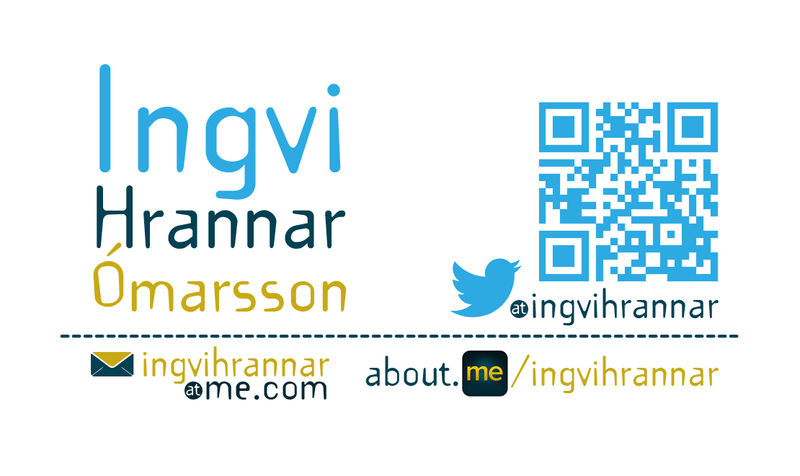 I have opened a new website at www.ingvihrannar.com. I have moved the articles from this blog to there. I would like to especially thank Gábor Kiss for his help in designing and setting up the new website. The new site has NO ADS, is more interactive, easier to navigate, better to read, less cluttered and looks and feels better in my opinion. 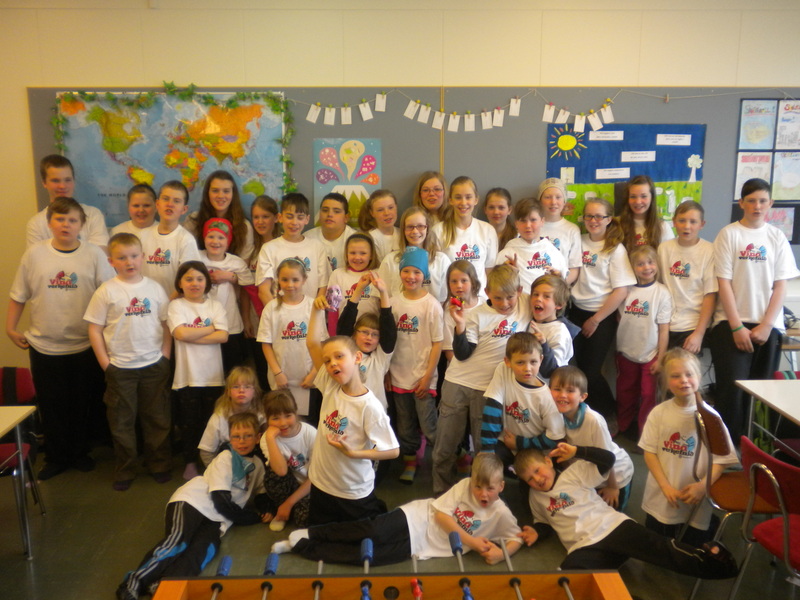 I have got to say that I love my job as a elementary school teacher in Iceland, work with wonderful people who do their best every day & I love going to work. My idea of a good day off is laying in the sun, reading books, journals, blogs and/or watching a TEDtalk… and I believe I’m not the only one so I decided to write this article so those of us who are interested in education, new ways of doing things and want to learn something new can talk about what we are interested in, when we like, regardless of where we live, what day it is or even what time it is. We need to change the way Educators do Professional Development! I’m sorry to say but the teaching profession is often an isolated and lonely one even though we are surrounded by people the biggest part of our day. A teacher is usually the only adult in the classroom, lunch is often with the students and our work area after class is in most cases in the classroom itself (because that is where our computer is). Our time outside of teaching is spent either preparing lessons, going to informational meetings in the school or writing reports. Our time to develop ourselves as professionals, discuss professional issues & exchange ideas is neglected or even ignored in many schools. Professional development nowadays is often about everybody watch the same documentary, visiting a school or getting a lecturer into the school to talk about issues that most often only affect a small part of the staff but everybody have to attend. In short: Professional development is usually decided by administrators and not the staff, a top-down management or a top-down approach. 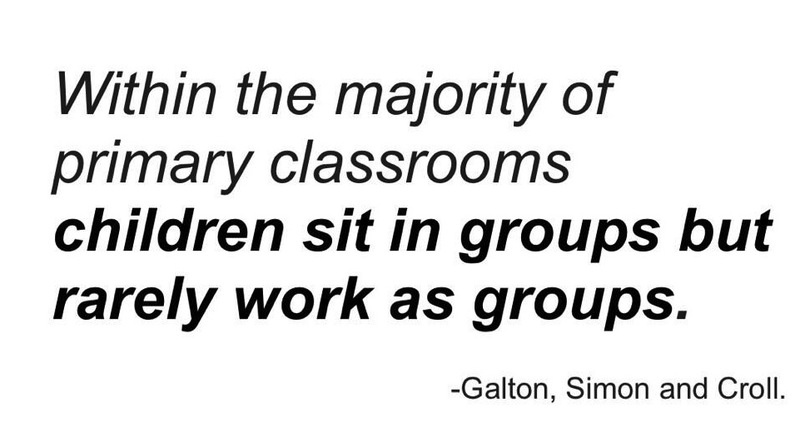 It’s easier for administrators to give everybody (both students and staff) the same education. Because if everybody get to learn what they want, when they want costs time, money and an incredible amount of preparation. Why did I start to shape my own Professional Development around my needs? 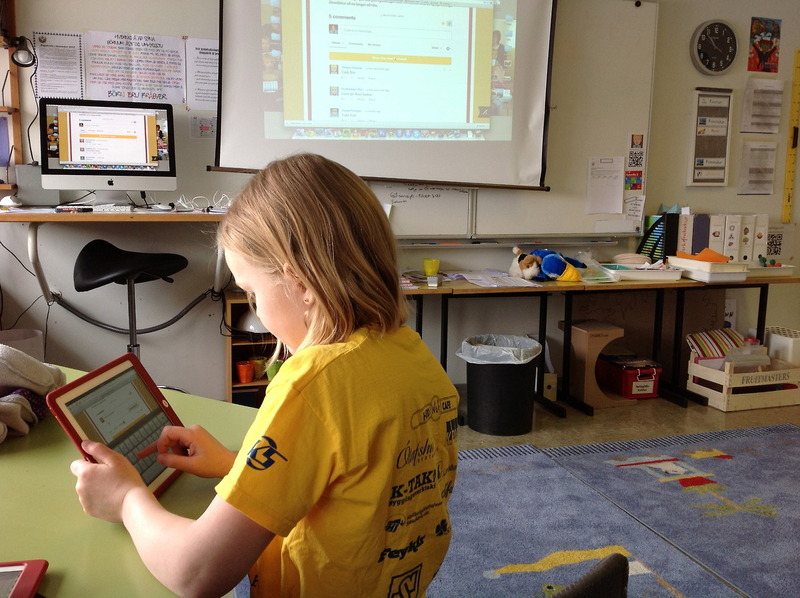 In the school year of 2012-13 I was implementing an iPad 1:1 initiative in my 3rd grade classroom at Árskóli in Iceland. 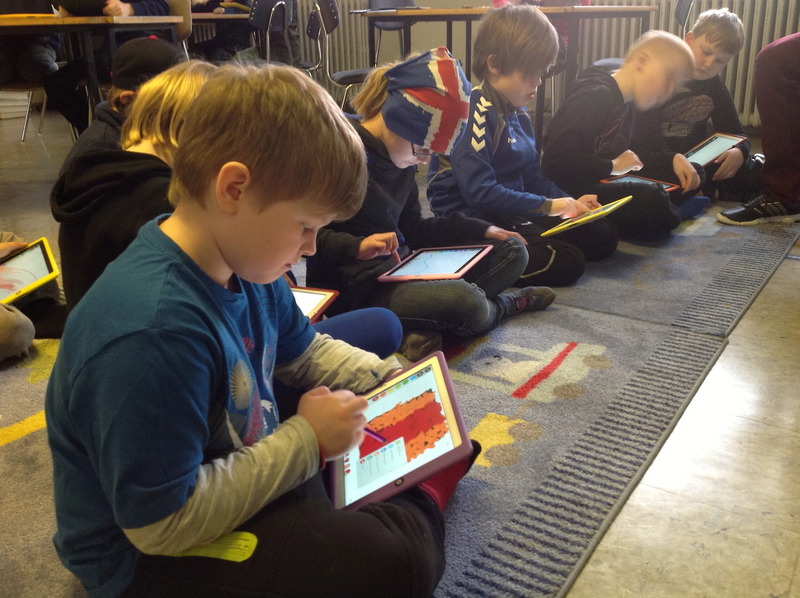 I had been studying iPads in the classroom since the iPad came out in 2010, read articles, watched videos, tried apps and was the first teacher to go to Apple in Iceland and pitch the idea of iPad 1:1 (that is each student has his own iPad) in education in early 2011. I even travelled to the US during my easter break in 2012 and visited the fantastic Burley Elementary School í Chicago,IL. and saw how they were using iPads for teaching and learning. When our iPads arrived in August 2012 I had acquired some knowledge and the things I didn’t know I just tried (which means: tried, failed, googled & tried again until I succeeded). I had only a few people I could talk to, share experience and get feedback from that was beneficial. The discussion between the staff within a school are often fine but rarely did they deliver anything because, more often that not, other teachers didn’t understand what I was doing with iPads in the classroom, didn’t see the point and had no idea what I was talking about so I felt lonely and isolated. How do we change teachers Professional Development? There are no magic solutions out there. If people are not ready to learn something new, they won’t. It doesn’t matter if you send them to the same course year after year, e-mail articles to them to read, give them a whole day off to read the new Common Core… if they don’t want to learn, they won’t. But this article is written for those of you that want to learn (and if you have read it to this point you are one of those). This article is for those of you that do want to learn, grow, share your experiences with others and make connections. This article is for those that ask questions, that don’t know everything but want to, who want to become better and help others become that as well. I was alone, almost, until I started using Twitter and a whole new world opened up for my professional development, transformed what I do as a teacher and I got in touch with professionals from all over the world who are dealing with the same problems as I am in my job. I believe those who work within the educational field and haven’t discovered Twitter should do so now! (See instructions below). What makes Twitter so great is that other people are not telling you what to read, watch, listen to or when you should do it. You decide, the professional development is personalised and comes from within. You might have the time and energy today to read an article but not tomorrow at the scheduled staff meeting where you re supposed to. By putting mobile devices in the hands if the staff, a time to spare and support during the first steps people can share and discuss even though they don’t see each other that day or if they work in different parts of the town, country or the world. Even the computer in the classroom can be used to Tweet, if Twitter isn’t blocked at your school (which is a discussion I’m not even going to begin going into because that would be a whole new post). The only thing you need to use Twitter is access to the internet because the account is free (as well as the Twitter apps available from the App Store and Google Play store). Many people have heard about Twitter in the past few years. A lot of people have signed up, tweeted once or twice and then given up because they don’t get the instant feedback they are used to on other social media sites and quit. (You don’t usually get feedback from your first tweet because you don’t have any followers when you sign up… you have to earn them by sharing good content and ideas). Schools, states, municipalities, teacher unions and even the teachers themselves spend an enormous amount of money on Professional Development. Now with the introduction of Twitter people can more easily educate themselves, connect with other educators around the country and the world and read about the latest in educational reform as it happens. “People who want to be better at what they do make time not excuses”. You can tweet whenever you feel like, read articles, watch videos and really personalise your own professional development. But first let’s start with the basics…. Twitter is a micro-blogging platform where people can share ideas, articles, websites, pictures, information or news in 140 characters or less. It’s a cheap and simple way to share and receive information from anywhere in the world. Anybody can see you profile and read what you write (unless you, for some reason, you protect your tweets and choose to have them private). Users can follow other users without having to be accepted or followed back, so your account is personalised to you. You start by going NOW to twitter.com and create an account. You create a Twitter username (or Twitter handle) and put in your name as well so other users can search for you by your Twitter handle (@) or your name. Write down your password as well… don’t forget it! 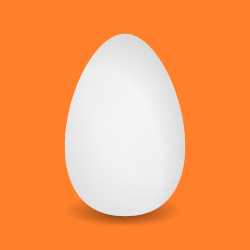 You write something about you and import a photo of you… no one takes an egg seriously. You observe, read and see what interest you before posting and you’ll slowly understand what Twitter is all about. You go back to this article and understand a little bit more what it’s about. Don’t be surprised if you don’t understand Twitter right away and don’t quite understand why you are doing this… I promise you if you have read this post up until here then you have the interest and spark it takes to understand Twitter. The most important thing is don’t be afraid to make mistakes and take your time. It took me a few months to understand this. Tweet: 1 to 140 character message. Retweet (RT): Re-posting another Tweet so that your followers will see them even thought they are not following the initial Tweeter. Feed: All the newest tweets from the people you follow. Mention (@): When someone mentions your name in a tweet by using @ before your username to acknowledge you or send you a message. Hashtag(#): Tweets often have Hashtags (#) and a word attached to it. 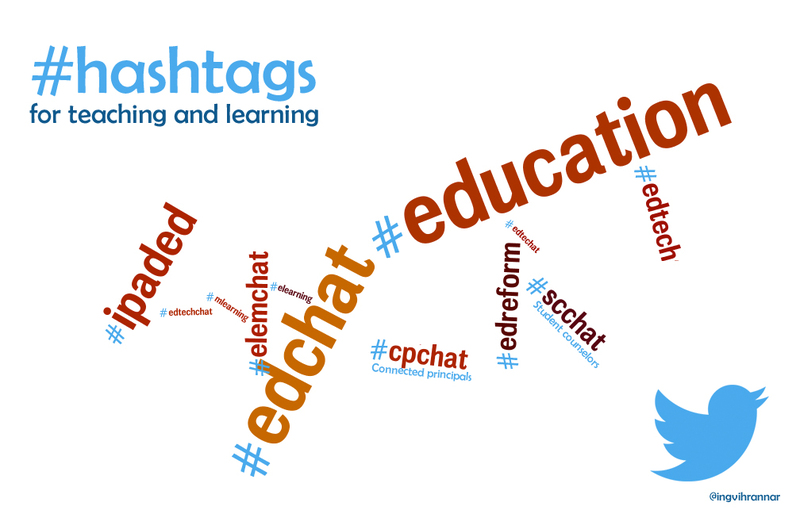 By adding a relevant Hashtag (like #edchat or #education) to a tweet or a discussion you are essentially categorising your tweet to a certain discussion or topic. Other users can search for hashtags and see all the tweets that have that particular hashtag and read the discussion about that particular topic in real time. 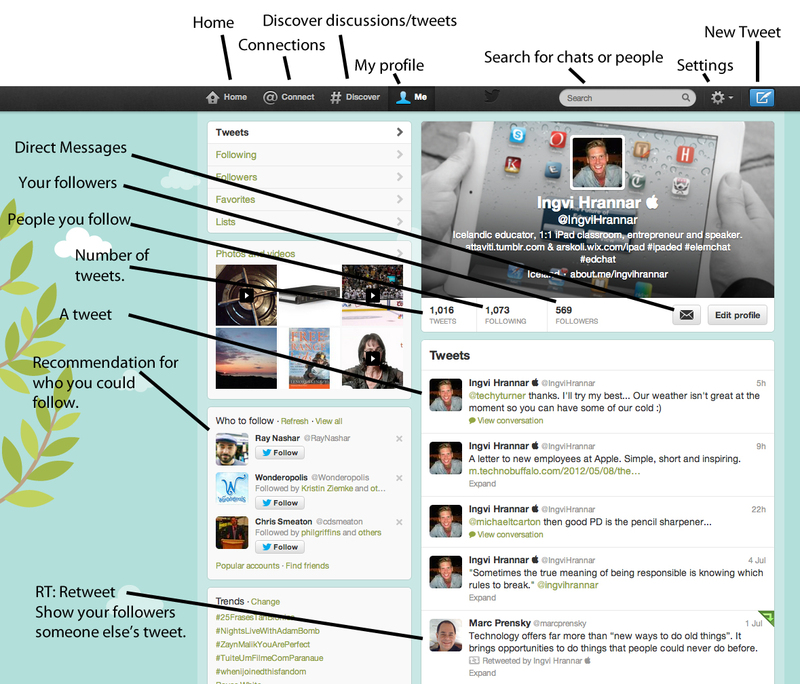 How can schools use Twitter? Administrators can Tweet about what is going on at the school for parents and other members of the community to stay informed. Each class could have its own Twitter account + hashtag and tweet what they are doing. The teacher posts questions, homework and so on to students and gets questions & feedback from them. Students tweet from field trips, report what is going on, ask questions and so on. The class is divided up into groups. Each group has one chapter in a book and they should tweet the main points to the rest of the class. They could even start Parody accounts and tweet as different characters from a story. Each student representing one character in the book/story. Now you should be able to get going on Twitter. It’s alright if you don’t know everything… the most important part is trying, failing and trying again. Start by observing, read articles, then read this article again and slowly start to tweet and retweet what you find. If you don’t get a response to a question at school, or even if you do, share your thoughts with others and see if they have a different point of view. Don’t only share things that work… but also the things that don’t work. Expand your PLN (Personal/Professional Learning Network) by following those that interest you. Recommend great Tweeters to other people by tweeting their Twitterhandle (@) on Fridays and putting the hashtag #FF (which stands for Follow Friday). If you can’t figure out how something works… Google it and you can also send me a message on Twitter to @ingvihrannar (and I’ll Google it). The future is now, grab it. When I visited Big Hollow Elementary School, Ingleside, IL. USA and met with Amie Lynn she told me about a literacy method called the Daily 5. I was so intrigued with the way she described the Daily 5 so after my visit I bought the book on the Daily 5 and finished it within a week. 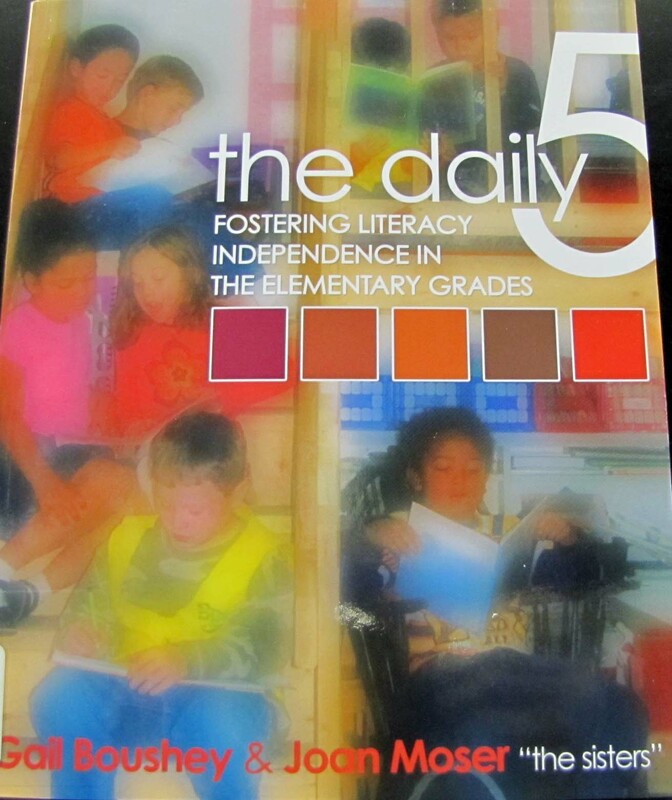 In short, the Daily Five is a series of literacy tasks (reading to self, reading with someone, writing, word work, and listening to reading) which students complete daily while the teacher meets with small groups or confers with individuals. 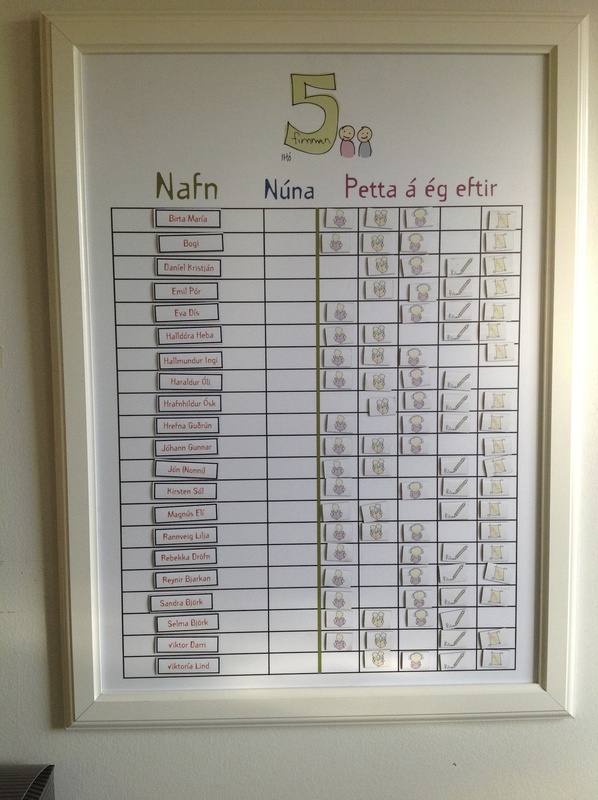 When I returned to my 2nd grade classroom in Árskóli I started implementing the Daily 5 into our literacy work. We started implementing each part slowly and it took about a month or two for each part. We started with reading to self and when everybody had the ability to read to themselves for about 30 minutes we were ready to move onto the next part which was reading with someone. When everybody had that down for around 30 minutes we could implement the next part and so on. This process for us took almost the whole of 2nd grade, since our school day only runs from 8.10-12.40 we only did the daily 5 once every day so it was more of a Weekly 5 for us. On top of that we were also running another approach called Beginning literacy which all of the 1-3 grade classes at my school participated in so the Daily 5 was on top of that, mostly instead of workbooks and endless amount of “busywork”. When we started the 3rd grade (I loop with my students) we started the Daily 5 and put it into our every day literacy unit along with Beginning literacy. I created a magnetic board for my students to keep track of what part of the Daily 5 they had finished that week. We had the Daily 5, and I translated it to Icelandic and created our own Magnet Board, projects, posters and so on and I can’t say it enough but WE LOVE THE DAILY 5. “A picture says more than a 1000 words but a video says more than a 1000 pictures”. Give students of different ages a chance to learn form each other. 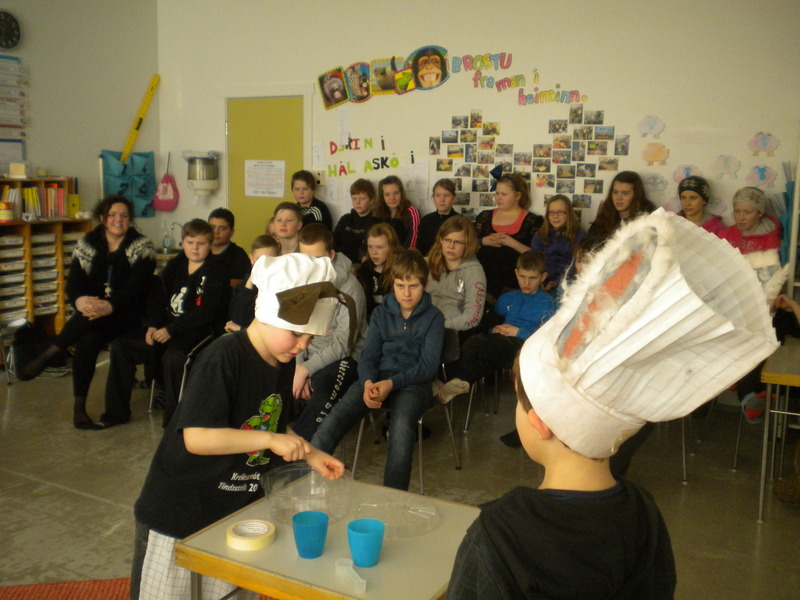 One of the great projects at our school is what we call buddy-classes where two classes are teamed up (one younger and one older) and they are required to do activities together throughout the school year to improve their social skills and learn from each other. When we were in 1st grade our buddy class was 6th grade. These groups follow each other for 5 years until my class becomes the 6th grade and gets 1st grade. The teachers are responsible for planning an activity at least 3 times over the year. Gone sledding together and drink hot chocholate. Seen each others plays a few days before we go on the big stage (every class does a full play every year). The older students have come in and helped during math. Older class records audio-books for us. The possibilities are endless and this is a great way to build relationships between younger and older students. It was also great to have another class to visit and get help when we needed like in math and wanted an audience for the last rehearsal of our school play. I really hope this is something you can incorporate at your school. I read a report long ago (which I can’t find now, but here‘s another one) about how elderly people who played cards, were outgoing, took part in social activities and had something to look forward to lived longer than those who didn’t. WOW, great news and being a teacher with young students who are learning to read I saw a great opportunity here. I went down to our local senior centre here in Sauðárkrókur, Iceland and spoke with the head nurse their and told her about the report and asked if I could bring my class once a week to read, play cards and play boccia with the senior citizens. Needless to say she was thrilled about the idea. So I sent an e-mail to the parents and told them that every Tuesday between 11.20 – 12.20 we would be at the senior centre and parents were invited to join us. So every Tuesday morning, kids would pick 2-3 books each to read to the senior citizens and the school bus took us to the senior centre where normally the parents that could make it came and helped us out. I can’t tell you how happy my kids, their parents, the nurses and the senior citizens were with our collaboration project. What was also unbelievable was that my kid sensed the calmness in the air at the senior centre and acted accordingly. They were so polite and considerate that the nurses were amazed. I could write more about the impact it had on reading, how parents got more involved, how happy this made the senior citizens and so on…. but I’m gonna let this video speak for itself. I really hope this inspires you to visit your senior centre and make a difference in your community. When I was going through my photos from my first 3 years of teaching I ran across, if I may say, some very interesting stuff. I took photos every day from our class, what we did and how we did it. Going through all this brings out wonderful memories and sparks new ideas. One of the things I did was to make a huge bean bag for my classroom. 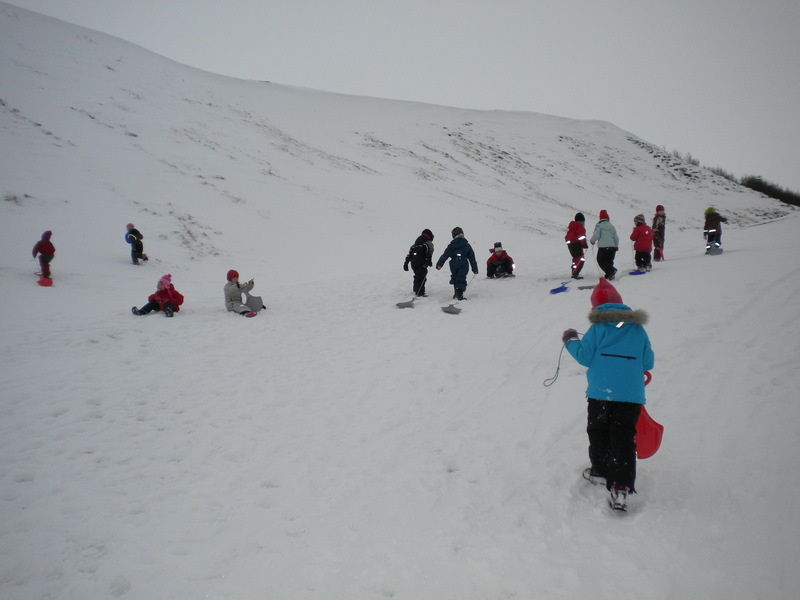 As you can see the kids really enjoyed it. 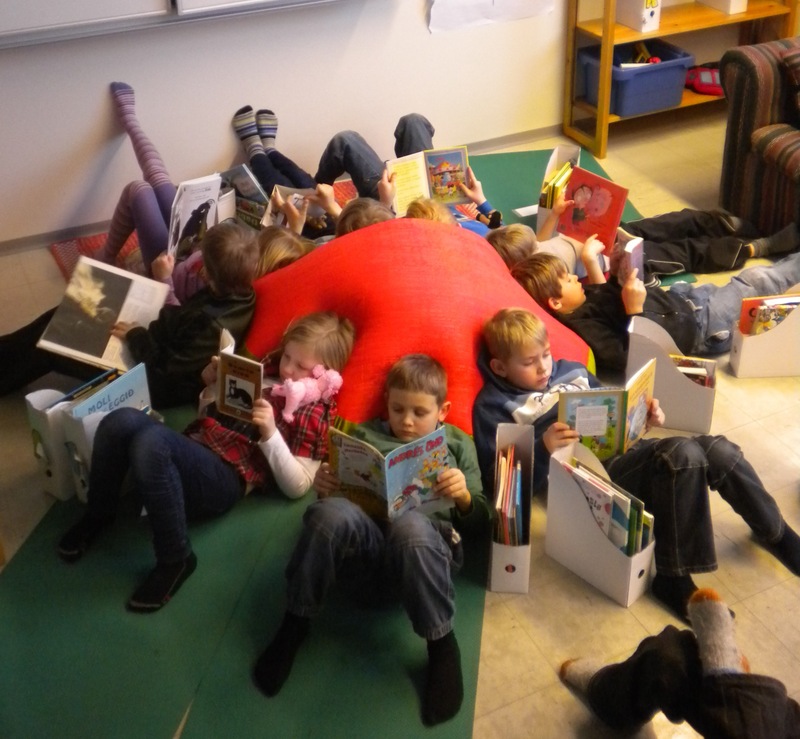 This was cheap, simple and incredibly comfortable for our quiet reading time & read-to-self during the Daily 5. I highly recommend this for any teacher that wants to make his/her classroom a comfortable place for learning. I have done a lot of fun projects including an iPad 1:1 initiative, started Yoga with my kids, translated and implemented the Daily 5 into my teaching, Made a class blog, every student of mine has a blog, gone to the senior center to have the kids read for the senior citizens and so much more but what I am most proud of is probably a great tradition at my school, Árskóli in Sauðárkrókur Iceland where all students perform a play on the big stage in town every year from 1-10th grade (elementary school in Iceland). What I have also done is record, edit and add subtitles to the play and send it to the parents for them to keep. Here is our newest play which I just finished editing and sending to the parents, during one of the cloudy days in Iceland this summer. If I’d tell you there is a tool out there that gets students to write more, read more, do more quality work & improve their spelling what would you do? What if I told this same tool gets students to connect more, gives parents the opportunity to be more involved & informed, gets students to deepen their knowledge, ask questions and display their work with pride. What if I told you furthermore that this tool recognises the process, gives students an even bigger purpose, creates a portfolio of student work and it’s FREE. What is this tool: Blogging with your students. I have been interested in blogging since I started teaching but not until last year was I able to start. My first step was taken last year by replacing our monthly newsletter with our awesome class blog. What our class blog did was that it flattened the classroom walls & involved parents even better into what we were doing at school. We posted photos, videos, plots of books we were reading or even quotes every day, shared our knowledge with the world, asked questions and told our followers about upcoming events. The class blog was amazing and I saw an instant change in how students acted, I noticed they wanted their work to be displayed on the class blog and parents told me about how their communication with their child about what was done at school changed dramatically. Instead of the answer: “It was fun but I don’t remember what we did.” to the regular question: “How was school today and what did you do?”… kids and parents had specific conversations about the school day based on what parents read on the blog right after school. But I’m not gonna tell you all about our AWESOME class blog… that’s a whole other post that you can read about here. This one is about blogging with your students. When I saw the effect our class blog had, and I realised how easy it was to set up and manage, I decided to start a blog with every kid in my 3rd grade class. Like I said earlier I had been interested in blogging with my students since I started teaching but was never able to do it. Why? Because our computer lab has only 14 computers, each requires students to sign in, put in a long password and wait for updates to install. The problem also was that if we were to post our work to our blog we would have to have a separate camera, import the photos into the computers (which isn’t allowed on the shared computers). Also students would have to sign in every time they log into their blog (tumblr.com) and discussion platform (disqus.com) and I could go on and on. All in all a big hassle. Enter the iPad… (my students all got 1:1 iPads this year and that gave us the power to blog easily)…I couldn’t have done it as effectively and seamlessly without this great mobile devices where students are logged into their accounts instantly, have their devices when they need them, can take photos and post them straight from the iPad and so on… It’s so easy and just works. I wanted my students to blog because I had seen my students do fantastic projects over and over and put them straight into their binder when they finished and didn’t get a chance to display their work the way they deserved. I wanted them to connect and have an audience bigger than just their classmates and myself. I wanted them to think about what we did in school after school, discuss with their parents, maybe watch a video again they didn’t quite get or wanted to show their siblings or parents. I wanted them to learn how to give constructive criticism and learn how to receive compliments and constructive comments from others. Also to learn about internet safety and rules on what we share and what we say online. For that I used a video (among other things) from the Think before you post campaign. I started by talking to the parents about the idea of blogging at a parent-teacher conference to build the foundation. Then I sent a (pretty long) e-mail to the parents explaining to them why I wanted to start blogging and what I believed it would do. I sent them further reading (for example this & this) and asked them to comment if they had any questions, concern or add-ons. Believe it or not…. 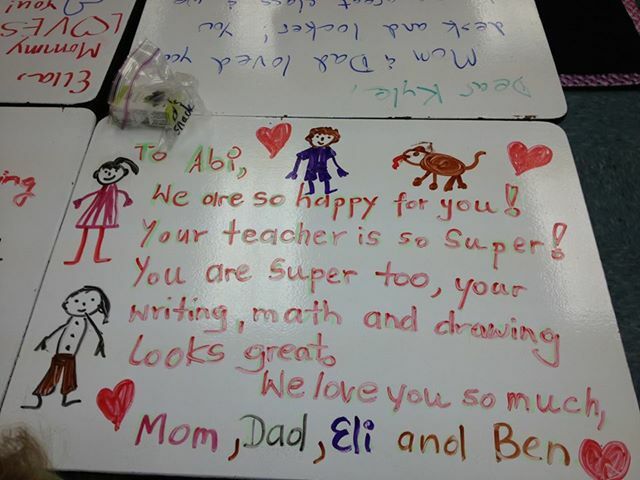 all were aboard and excited (my students parents are probably the most awesome people ever). So on we went. The next thing was to get all the parents to set up e-mail accounts for their kid. I thought this might be difficult…. but hey 2 weeks later, all my 8 year olds had their own e-mail accounts set up. I set up an individual account for every student on Tumblr and downloaded the Tumblr app on their iPads. Then I signed them all up on Disqus which is a great discussion site that Tumblr supports. 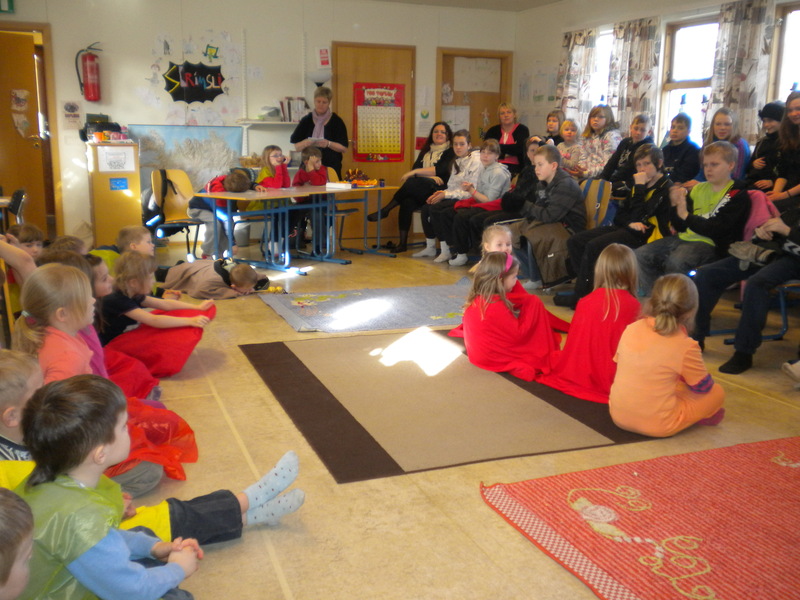 Then I made videos, which I posted on our class blog and sent via e-mail to the parents, about how to blog and how to comment (in Icelandic of course) so every student, parent and grandparent could be involved. Because you can’t expect parents to participate and help their child if they can’t help themselves. When we got going the blog project went better than I ever imagined. My students wrote more, quiet students had a louder voice and expressed themselves more. Kids read more and were thinking about spelling and asking each other how to spell words. Kids that had a hard time writing recorded their answers or questions on Croak.it. There was more quality work being done and kids displayed their favorites on their blog. Parents were more involved & informed, grandparents were commenting. It was AWESOME. It made it so much easier for me to track student progress as well because at parent-teacher conferences we’d just look at their online portfolios (blogs) and see their best work and how they’ve improved over a period of time. My students are even blogging and commenting during this summer. Sharing their experiences, writing, reading and recoding… I’M LOVIN’IT. I believe every class should have a class blog… no question and no excuses. If you have mobile devices or easy access to the computer lab, there is no question you should set up individual blogs for your students as well. It will make learning so much more fun. Try it. I promise you won’t regret it! When starting a new career as a teacher or even just starting at a new school it is absolutely vital that the teacher gets a mentor to model, lead, listen and help them at the new job. Sadly, I learned this the hard way. 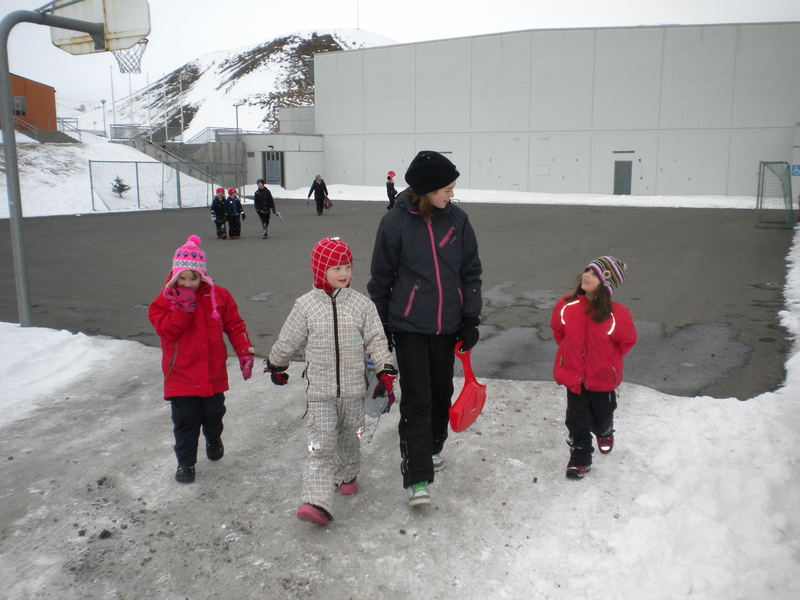 My first job after graduation was a 1st grade teacher at my old Elementary school in my hometown in Iceland. Why? because I didn’t get a mentor. This is your mentor, he/she will work closely with you throughout the year, listen to you, observe and guide in your first year here. NEED HELP???? Hello I’m drowning… is that normal? My first year was a lot of fun, I really grew as a person and teacher but it was really tough. I remember coming home at around midnight, nervous about tomorrow because I wasn’t sure how I was going to teach a certain subject or I didn’t feel like I knew enough about something to be teaching it to others. I survived my first year mostly due to my interest in teaching, hard-work, long hours and the courage to ask silly questions and be the one that didn’t know everything. I also got help from colleagues when needed but I felt like I was interrupting them from their jobs. But it would have been easier if a mentor had been by my side from day one. I just was to busy to realize it then. Thankfully I am not one of those people who are afraid to ask questions if I don’t know the answer. I ask, even if that means I look stupid to others. It takes a lot of courage to be the one that asks questions at meetings and only a few people are ready to ask if they don’t know because they are afraid others might view them as dumb. Please ask if you don’t know something or even if you are unsure… ask. Both administrators and the ones who don’t know but are too afraid to ask will appreciate it. I recently came across a great list I believe can help mentors, new teachers and administrators. I got it from Mia MacMeekin’s fun blog and I think that it can really help when you’re starting the new school year. A lot of newly graduated teachers will feel lost in their first weeks, months or even the first year. I believe this guide can help to bridge the huge gap between what we learn about teaching in college and the real life as a teacher. Have a great first year and make sure you get a mentor… not only on paper but in person. 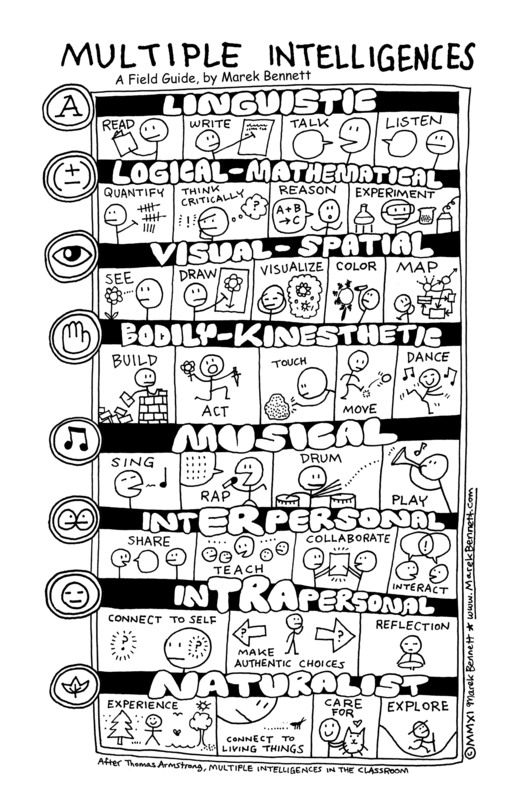 Since I was introduces to the idea of Multiple intelligences in the Classroom and Gardners theory on Multiple Intelligences I was fascinated. And I think it’s absolutely true, should apply to how we individualize instructions and give student choices on how they want to learn and give them the tools they need in order to succeed. Quality resources and tools for teaching and learning are also important to have . Because we know the more choices teachers have the more creative lesson plans we can make and we can give students more choice on how to work on their projects. Collaboration is a very important aspect of a successful classroom because that is what people do outside the classroom. People who can create, collaborate & work in teams are sought after employees by businesses in the modern world. I have always tried to include collaboration, creativity & teamwork in my classroom and tried to incorporate that into my lesson plans as much as I can. Since we started our iPad 1:1 project in my classroom me & my kids have gotten more opportunities to collaborate and create than before. But I feel we could do more. I’m the kind of person that needs to move to think, I get ideas and need to write them down instantly in order to remember them because otherwise the next idea will take over in my head. I need to experiment, build, move, touch, experience, see, draw, visualize, interact, share, collaborate, reflect and connect in order to function. When I was introduced to mind mapping I instantly realized this was for me. Mind mapping is a great tool we should show our students, especially those who think visually. Visual thinking, also called picture thinking or right brained learning, is the phenomenon of thinking through visual processing. Visual thinking uses the part of the brain that is emotional and creative, to organize information in an intuitive and simultaneous way. If you want to learn more about the importance of right brain thinking I highly recommend Daniel Pink’s book A Whole New Mind. With more and more schools putting mobile devices in the hands of students and teachers the opportunities for outstanding, innovative learning multiply. But it’t not enough to have these devices (actually just having them means nothing)… it’s all about how we use them. I just love to give my students the opportunity to get up from their desks, write reminders, handwritten notes, be artistic, draw out ideas, collaborate, write, draw, sketch, mind map, edit their work and work hands-on with things. I spent the whole of last school year grappling with all of this new technology we were using in my classroom, thought of new ways to use it, how could I reduce the cost of paper and have students collaborate, create and share. 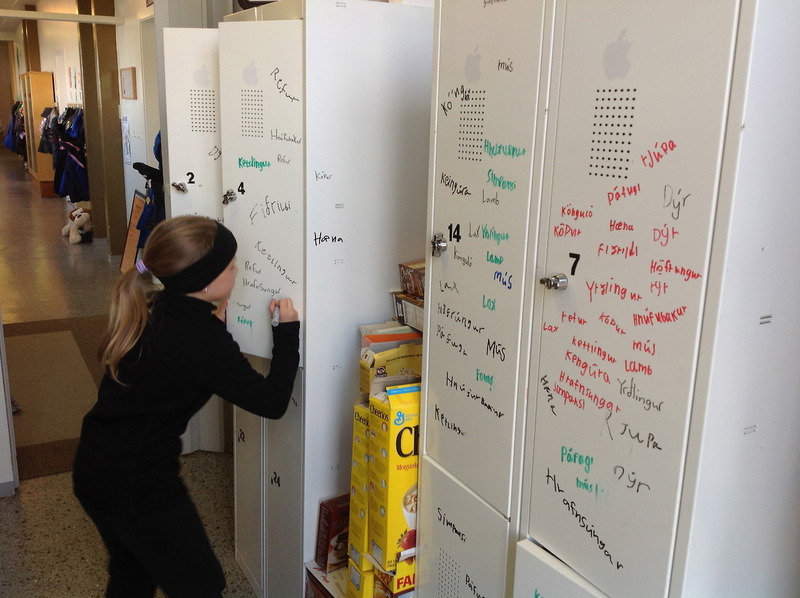 I had students write on our iPad lockers, on the windows and then they took pictures of their work and posted on their blog. WOW… This is made for education! I see endless possibilities of how we can use IdeaPaint. Not only for students but for the staff as well. This is a tool that easily turnes spaces into creative places and makes collaboration, creative thinking and teamwork easier. In the fall we are getting new furniture to my school and I told my principal we should paint the old ones with IdeaPaint. We’re looking into that option now.. and I’m sure the new desks will be painted within a few years. 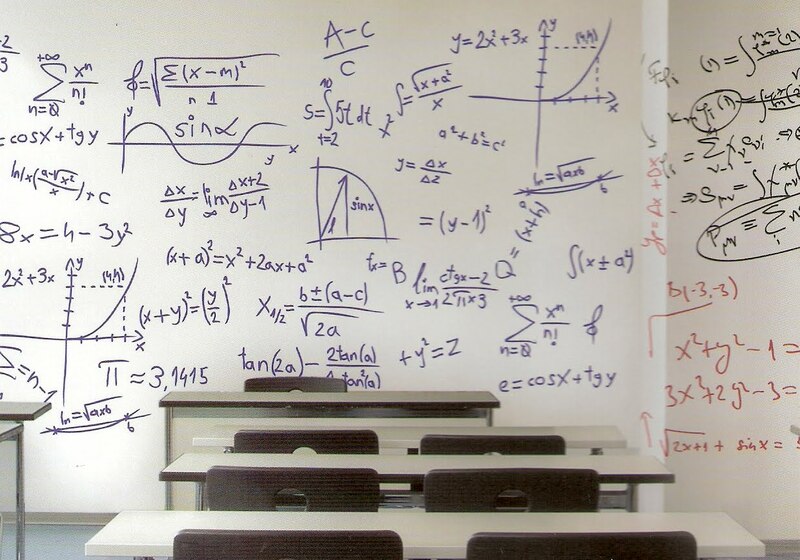 On your chalkboards – IdeaPaint lets you improve what you already have by transforming old blackboards into high performing dry erase surfaces that increase collaborative square footage, while eliminating the health risk of dust. 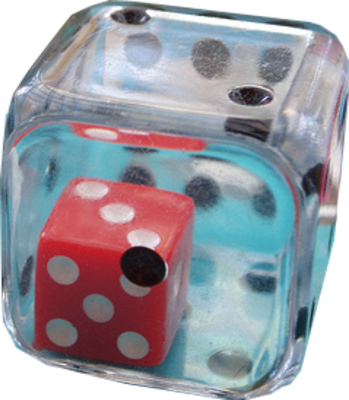 On desks and tables – Any surface in your classroom is fair game, especially those that get a lot of 1-on-1 attention. Turn desks and tables into interactive surfaces that let students work through their ideas without wasting paper. On lockers – Newly painted lockers at the Kiel School in New Jersey have been a huge hit because they let students take ownership of their personal space and act as a message board for friends and teachers. In hallways – The hallway sees more foot traffic than anywhere, which makes them the ideal place to communicate with IdeaPaint. At the iSchool in NYC, painting the hallways increased students interactions and made an instant impression on visitors to the school. On doors – IdeaPaint turns anything into a message board. A coat of CLEAR can turn a door into a place to post schedules, assignments, while maintaing existing aesthetics! 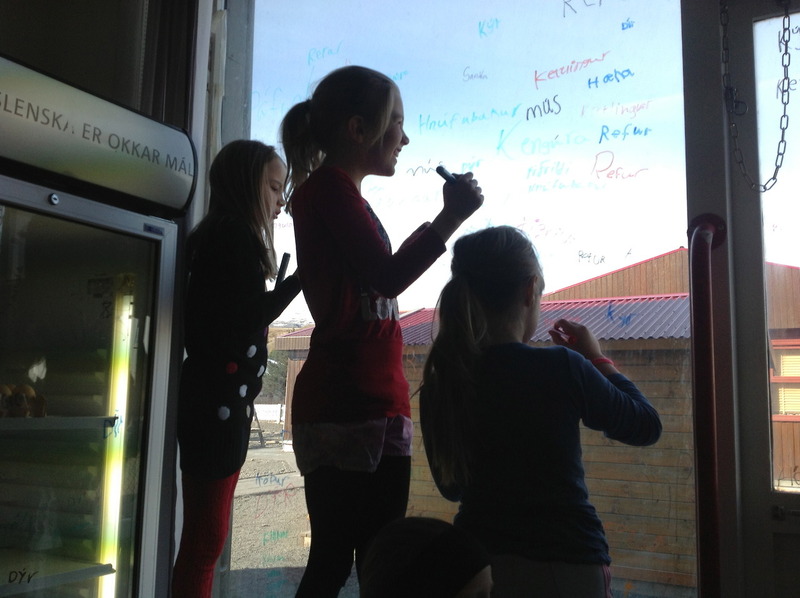 In offices – IdeaPaint has many applications outside of the classroom too. Use it to create a seamless think space where teachers and administrators can collaborate, or create a handful of smaller spaces that help maximize the area in your offices. Anywhere else! The truth is, IdeaPaint can be used on any smooth surface. Every time we see it in schools, there’s a new application – in cafeterias, to create story boards, even on the floor! When students get a chance to draw and create on such a big surface, such as their tables, desks, walls, lockers, doors, chalkboards or even the floor, it gives them way more creative freedom. I really believe IdeaPaint could be a game changer for all of our students and teachers. Being given the opportunity to write, draw & share – anywhere gives all types of learners new ways of putting their skills into practice. 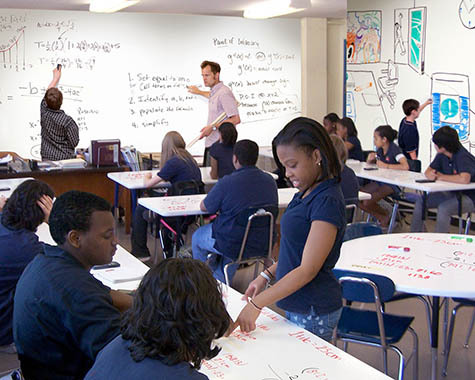 Whether they’re writing, quantifying, drawing, visualizing, mapping, writing lyrics or a poem, sharing, collaborating, interacting, reflecting or exploring I believe everybody in a classroom could use IdeaPaint…. I certainly will paint the walls with IdeaPaint in my next classroom. Now let’s change the way teachers teach and students learn… one wall at a time.